I love a good mystery. I have always been a huge Agatha Christie fan, ever since I was old enough to read chapter books. There's just something fun about reading a story and trying to solve a crime. This is why escape rooms and murder mystery parties are so popular. Naturally with subscription boxes booming, it was only a matter of time before someone came up with a mystery subscription box, and I'm definitely here for it! 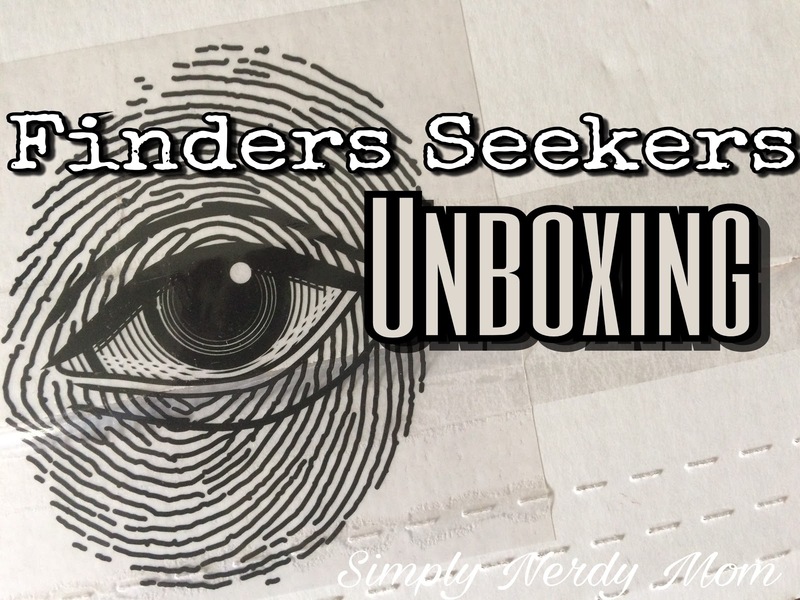 Finders Seekers isn't the first mystery sub box that I've tried, but it is the newest. Here's something I don't typically do in my reviews, but I'm going to do it any way. It's story time. About a year ago, I tried another mystery sub box and loved it. Unfortunately I ended my subscription to that company because of a few incidents where the founder was insanely unprofessional towards me. So when I discovered Finders Seekers, I was ECSTATIC! It's laid out exactly like the other one, and truth be told the curators seem to be absolute dolls. Thank the universe! I'm back in the mystery solving game! These mystery subscription boxes are probably the best concept ever, as far as i'm concerned. Look what came in the first "box". Photos, a map, a napkin, recipe, ticket... It's all high quality, realistic items, too. Each item is a clue to help you along your journey. There's also a Facebook group you can join that will help you out. You are going to need the internet or maybe your local library for these to help decipher the codes and puzzles. The best part about this particular mystery box is that you could win real prizes for solving the puzzles! Each month they focus on a new city and/or culture, so it's like traveling the world solving mysteries, without leaving your home! You can solve alone, or in groups, it's completely up to you. It actually comes packaged in an envelope (not really a box) with a really awesome fingerprint sticker on the package like the one at the beginning of this post. Each month's package is $30/month which I think is well worth the price. Depending on how good you are at it, it could take about an hour to finish the clues. I'm going to be honest, I'm not that good at it, so it takes me longer, but I thoroughly enjoy every minute of it. This sounds like such a cool idea!! I need to get into subscription boxes as they sound like such a fun thing to receive each month! Didn't realise there were subscription boxes like this, but it sounds a fantastic idea! I have never been to murder mystery party but have always been intrigued to try one! 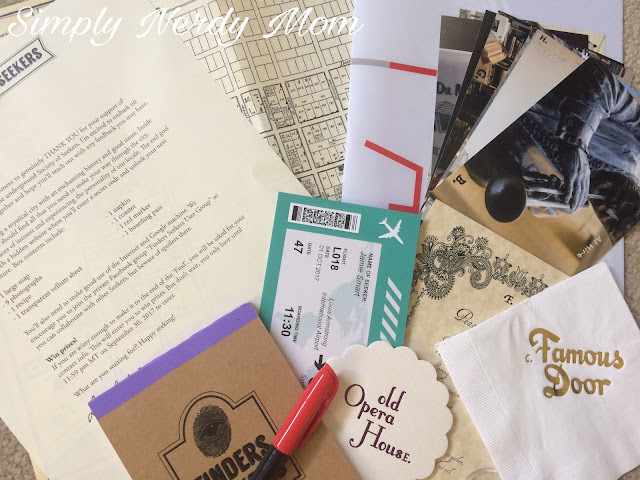 I do love a good mystery and i never knew you could get such a thing in a subscription box! I too love a great mystery. I have hosted a few mystery parties and even joined two mystery cruises. Yes, I am also a nerd. I've signed up for a couple of other mystery type boxes, but have already cancelled one of them because it just wasn't any fun. I love Finder's Seekers because it's challenging without being frustrating and while I'm solving the puzzle, I am learning of new sites to visit or recalling fun cities I have already explored. Having a final resolution in each mystery puzzle is important to me. Ohhh this sounds like such a cool subscription! I too love watching Agatha Christie and playing cluedo so this sounds like something I'd really enjoy!